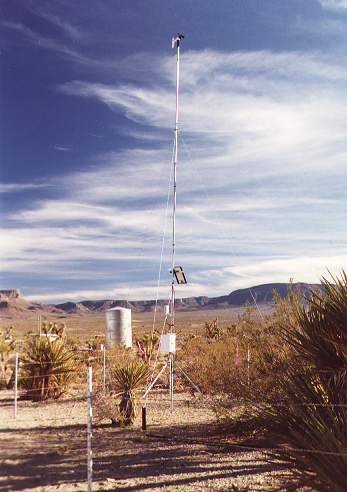 Thirteen Campbell Scientific weather stations collected data in the Grand Canyon area in early 1990 as part of a visibility research study. The weather stations measured temperature, RH, and wind speed and direction. Some of the stations also measured solar radiation and precipitation. Data was collected and transferred to the main computer using storage modules. During the course of the study, the weather stations were subject to weather extremes including freezing temperatures, gale-force winds, snow, and ice. All data from the weather stations were successfully collected with the exception of two of the wind sensors, which failed due to lightning strikes. Don Schukraft, Weather Network, Inc.